Have you ever wished you could enter a fictional world? This is the premise of W, a supernatural romance drama about Oh Yeon Joo (Han Hyo Joo), a vivacious female doctor, who falls in love with Kang Chul (Lee Jong Suk), the protagonist of W, a webtoon created by her cartoonist father. 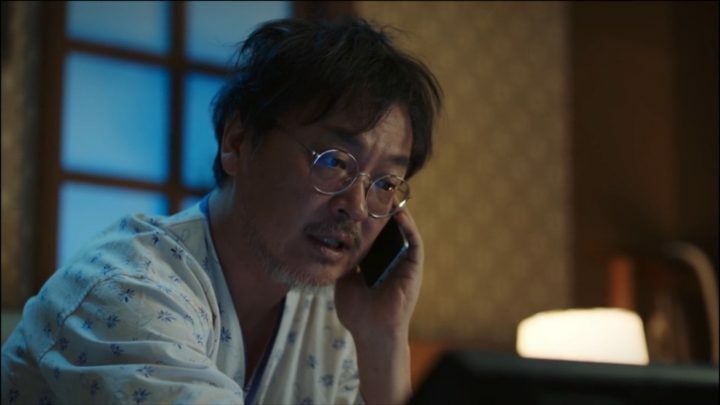 Though Yeon Joo and her father Oh Sung Moo live in reality, they are sucked into the webtoon, where they meet Kang Chul and navigate through his world. With an unconventional plot, top-notch cast, and innovative production aesthetics, W quickly nudged itself into my and many others’ hearts, becoming one of the most popular dramas of the year. From the get-go, W pulsates with creative energy and presents tightly-executed plot and character developments, creating a feast for the eyes and mind. I love how W incorporates a bit of everything­ – fantasy, romance, comedy, horror, and action – into one breathtaking narrative. Watching W for the first time is definitely a journey I’ll never forget! W pulsates with creative energy, creating a feast for the eyes and mind. The first few episodes had me on the edge of my seat – the pacing is incredibly fast, which I appreciate, and the plot developments are unpredictable and bold. I’ve gotten chills more than a few times from the mind-blowing parallel universe set-up and aesthetic transitions between scenes. So far, the story arc is flawlessly written and offers new surprises at every turn. We begin to learn about the main characters as well as the “rules” governing W’s world. I’ve gotten chills more than a few times from the mind-blowing set-up. Kang Chul, whose name literally means “tempered steel”, is the protagonist of the webtoon. An Olympian shooter turned wrongly convicted murderer turned CEO, Kang Chul’s purpose in life is to uncover the mysterious culprit behind his family’s deaths. 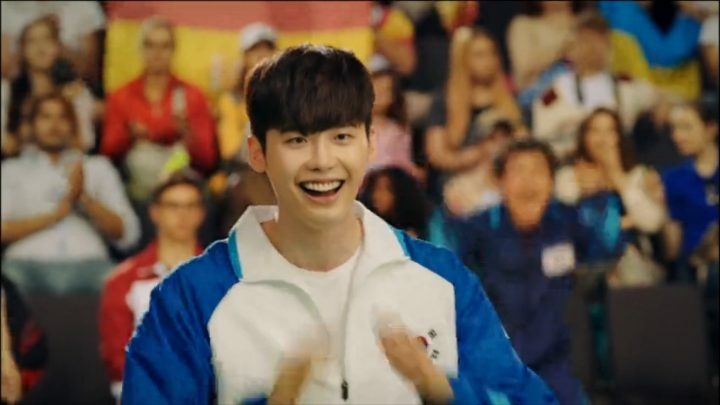 Lee Jong Suk’s portrayal of Kang Chul is nuanced and warm – we see Kang Chul’s tenacious and detached side, as well as his cheeky charm while interacting with other characters, such as his secretary Yoon So Hee (Jung Yoo Jin). 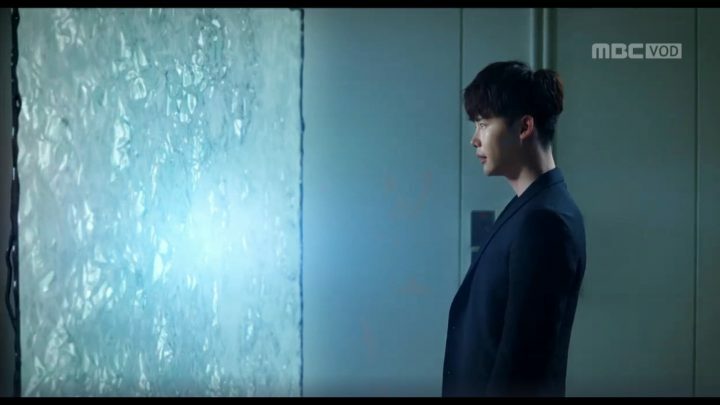 Lee Jong Suk’s ability to convey a wide range of emotion through subtle gestures is especially emphasized in these first episodes. 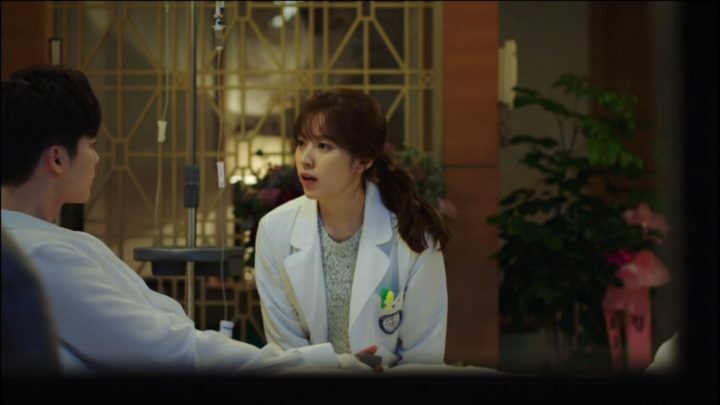 Oh Yeon Joo is an endearingly clumsy and energetic female doctor who is transported to W’s world, unintentionally entangling herself with its plot. 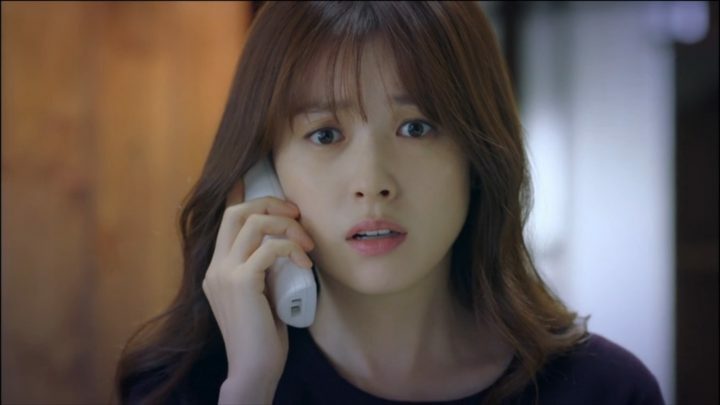 Han Hyo Joo does a wonderfully expressive and comical interpretation of Yeon Joo’s character, which acts as a foil to Kang Chul’s calm disposition. W is Han Hyo Joo’s small screen comeback after a six-year hiatus, and she is absolutely slaying it! I’ve laughed so much at Yeon Joo’s spontaneous outbursts and looked up to her unparalleled bravery. Finally, we meet Oh Sung Moo (Kim Eui Sung), the brooding, divorced mastermind behind W. We see that he’s lived vicariously through W, ascribing traits to Kang Chul that he wishes he had, especially the willingness to fight for his family. However, W gets out of his control as plot writes itself when Kang Chul exerts his free will, so Sung Moo wishes to end W once and for all. While the beginning focused on fleshing out W’s world, these episodes focus on Kang Chul’s entrance to the real world. Major plot twists continue to flip our assumptions upside-down, and the romance between Kang Chul and Yeon Joo blossoms at a rapid pace. 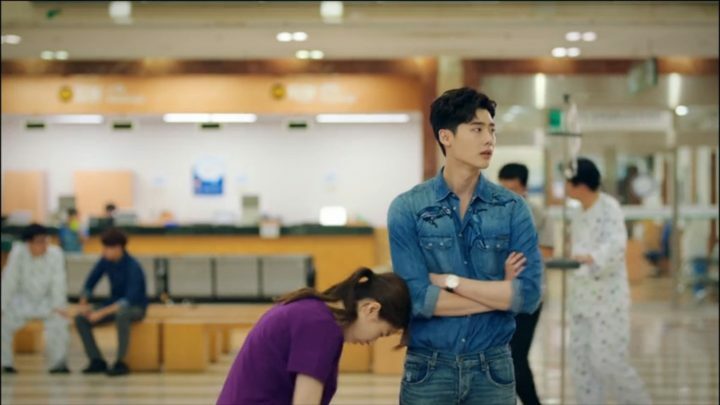 The drama has covered so much ground that it feels like it could just end here and still be a solid show, but the writer always has new tricks up her sleeve, propelling the show and my interest forward. Major plot twists continue to flip our assumptions upside-down. 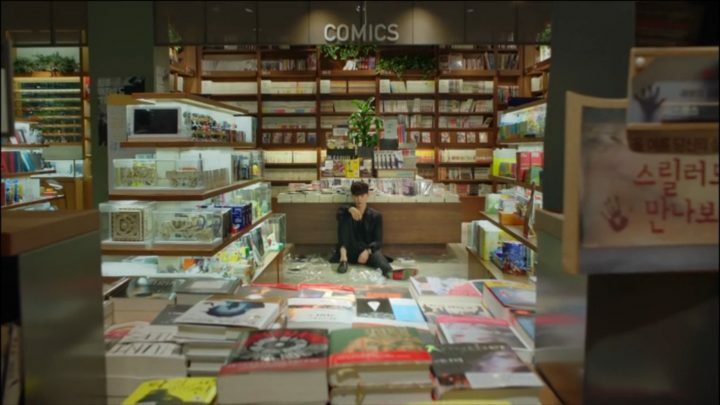 Kang Chul’s composed demeanor cracks when he realizes his entire existence is fictional – his crying scenes are some of the most heartbreaking moments in the drama. As tragedy strikes again and again, Yeon Joo’s mature side blossoms – she’s tapered down to match the darker tone. I’m impressed that Han Hyo Joo is able to transition so seamlessly from bubbliness to contemplation, a testament to her acting finesse. Sung Moo and Kang Chul finally confront each other in reality. 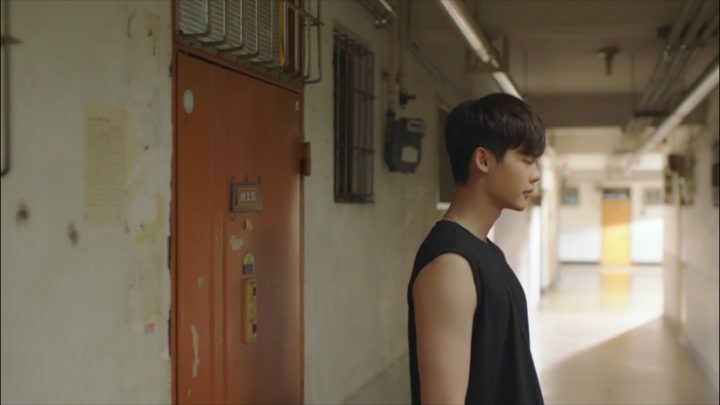 However, their attempts to understand each other go awry as Sung Moo deflates Kang Chul’s pride (his Achilles heel) and Kang Chul reacts violently, leading to insurmountable guilt that compels him to make life-changing decisions. 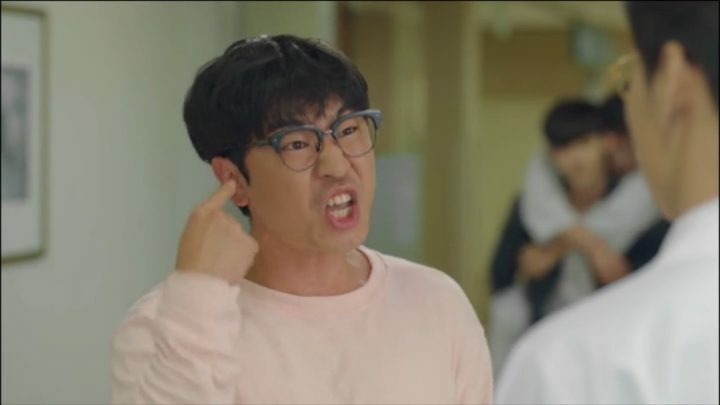 I’m nervous for this creator-character pair; they obviously have unsolvable tension due to Sung Moo putting Kang Chul through fire for years. Despite darker undertones, Kang Chul and Yeon Joo’s romance flourishes, although too quickly for my taste. Frankly, the romance is becoming a bit cliché while the comedy is increasingly more creative, but Kang Chul and Yeon Joo’s chemistry makes it heartwarming to watch. I’m also glad that the culprit storyline is intertwined with their romance – both are gaining momentum and converging in a logical fashion. I love how Kang Chul and Yeon Joo’s relationship is built on trust – they don’t shy away from telling each other startling truths, and they never doubt each other’s loyalty. How soothing it would be to watch their romance bloom, had it not been for the culprit’s timely interruption. 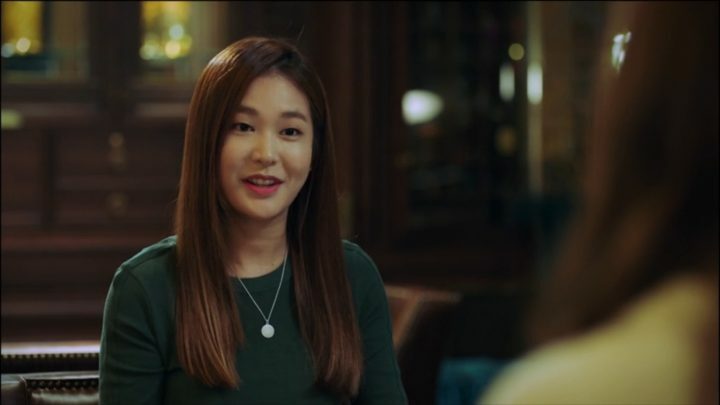 These episodes focused on developing the culprit’s identity, who has resurrected because his main purpose is to kill Kang Chul’s loved ones, meaning that Yeon Joo is the new target. I dislike the culprit’s characterization – he has purely evil intentions, making him a very flat antagonist. However, because he’s so inhumane, it makes his actions more horrific because you never know when he’ll appear or what he’ll do. At one point, he gets to write the story, leading to circumstances that I could barely stand to watch. Chaos ensues after Yeon Joo officially becomes a main character in the manhwa, and Kang Chul decides the only way to restore equilibrium is by cutting ties with her in a specific manner. Though the plot becomes convoluted after Kang Chul’s decision, their separation spurs Yeon Joo’s character growth. Again, Han Hyo Joo’s acting really shines through in this section – her eyes carry such depth, and her emotional breakdown is touching and raw. Also, the creative transitions between the W world and reality are back! For example, I really enjoyed the scene where Yeon Joo follows the rolling ring from her hospital to Kang Chul’s feet. At times, I do think the writer takes too many liberties within the framework of the story – because it’s a fictional world, anything goes, right? As new variables are introduced to befuddle the main leads, the plot holes increase. However, I’m glad that Kang Chul and Yeon Joo are able to sweetly reunite (cue the nostalgia), and that Sung Moo’s assistant Park Soo Bong (Lee Si Eon), provides comedic relief to puncture the tension. Did I mention that there are a lot of flashbacks in this drama? There are a LOT of flashbacks in this drama. Each one offers a new condition that changes the characters’ relations with one another or how W works. It’s hard to keep track of who’s in what world and the reasons why they’re summoned, but again, the rules in W are still being revealed. 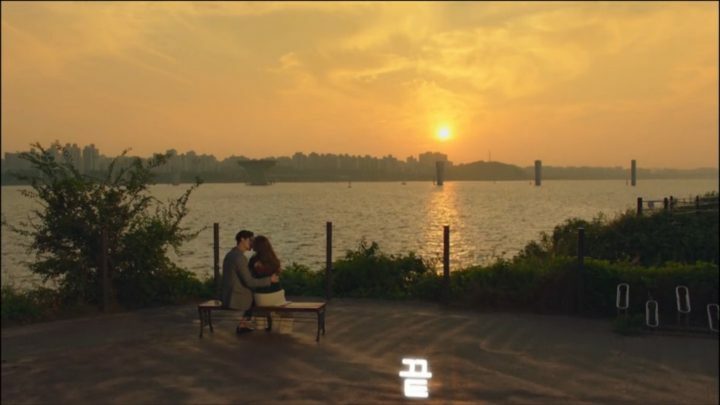 Kang Chul and Yeon Joo start to take ownership of their happy ending in episode 12, where Kang Chul logically figures out to summon himself to each world. I really enjoyed the intensity of his action scenes with the culprit. However, both Kang Chul and Yeon Joo have definitely changed due to tribulations during their separation. Yeon Joo is serious and looks almost nervous while with Kang Chul, so I’m not feeling the chemistry as strongly. Thankfully, she lightens up when she and Kang Chul meets her professor in a cafe, who sets her straight again. 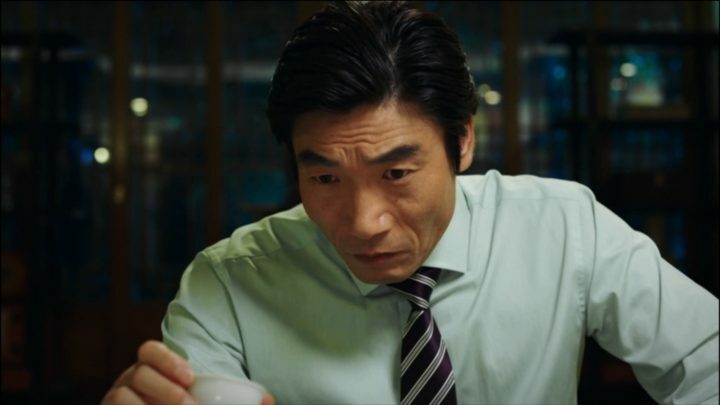 The plot becomes more convoluted with several life-threatening encounters, erratic summons, and the increasing importance of another simplistic villain, Han Cheol Ho. However, the acting, especially on Sung Moo’s part, is stellar as usual and makes the story believable. Plus, I am loving Kang Chul’s quirks – his cute smiley cringes warm me up inside every time. Whenever the story becomes depressing, our silver lining is Soo Bong. 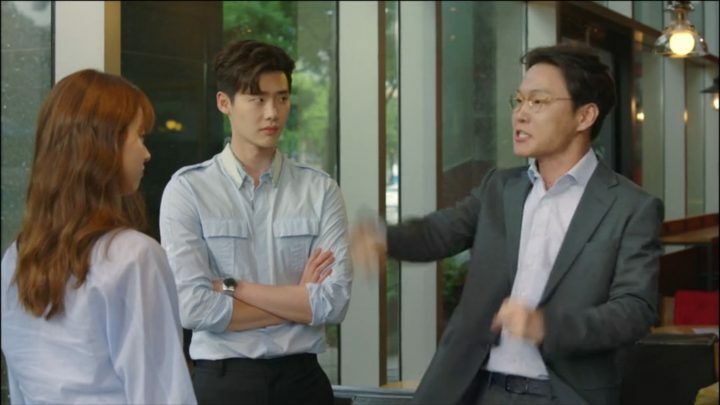 He’s animated as usual, often expressing the audience’s reaction to Kang Chul’s story. It’s very cathartic to watch him rave and rant. 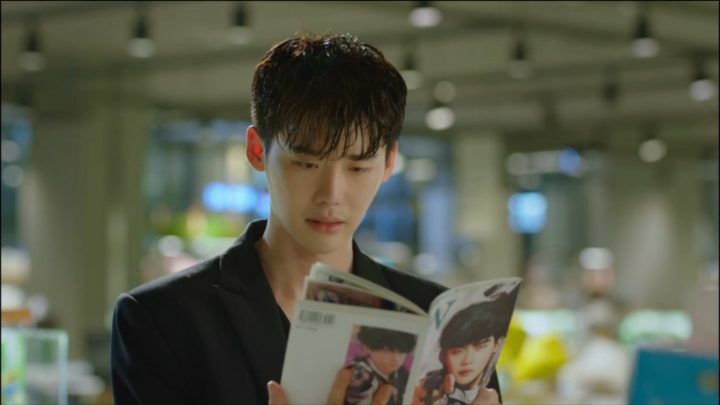 There seems to be a pattern here – every time Kang Chul plans a happy ending, a new variable in W’s world is introduced that throws it completely off-center. I’m miffed that the villains get so much screen time and the last episodes spend more time complicating rather than resolving the plot. But I’m glad that the characters’ stories are wrapped up in logical, yet bittersweet ways. So Hee finds new purpose in her life. 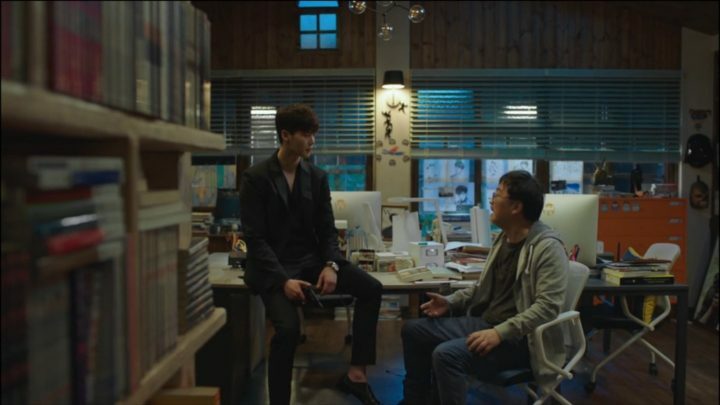 Sung Moo never recovers from the psychological damage of creating the culprit’s identity, but he’s able to draw tools on his tablet that aid Kang Chul. 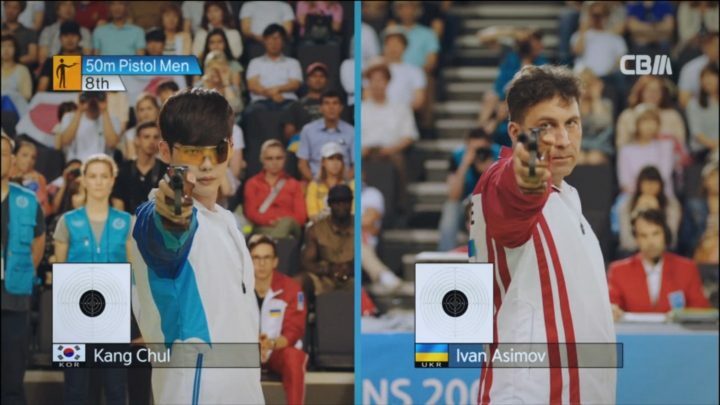 Both villains are finally defeated. And Kang Chul and Yeon Joo get their happy ending, leading normal lives in reality! W has truly been an incredible emotional and intellectual journey, one that I would highly recommend to anyone looking for a refreshing plot and set of characters!